Leading Manufacturer of customized machine key from Ahmedabad. We are engaged in offering the comprehensive range of Customized Machine Keys in different parts of the country. Customized Machine Keys are manufacturing using the high-grade raw material, ensuring top most quality in the final product. Customized Machine Key can be customized as per the exact requirements of our esteemed clients. 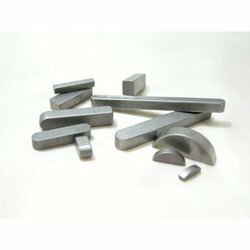 Looking for Machine Key ?